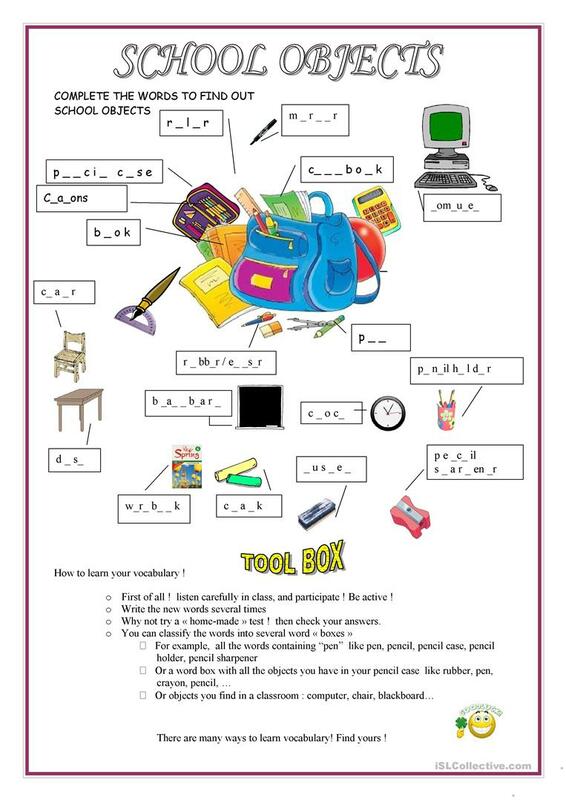 a worksheet to learn school supplies vocabulary+ a " how to learn your vocabulary " tool box. This printable, downloadable handout is best suited for high school students and elementary school students at Elementary (A1) and Pre-intermediate (A2) level. It is valuable for teaching Nouns in English, and is useful for enhancing your pupils' Reading and Writing skills. It features the theme of School. amel is from/lives in France and has been a member of iSLCollective since 2011-07-14 15:17:25. amel last logged in on 2019-04-10 13:19:25, and has shared 4 resources on iSLCollective so far.